I’m still not entirely sure when it actually happened, but at some point over the last couple of years the crossover between tablets and laptops stopped being an idea and became a real thing. Perhaps it was Microsoft’s Surface Pro 3, which came out as an x86 Core architecture tablet that was finally thin enough to no longer be an awkward laptop without an attached keyboard. 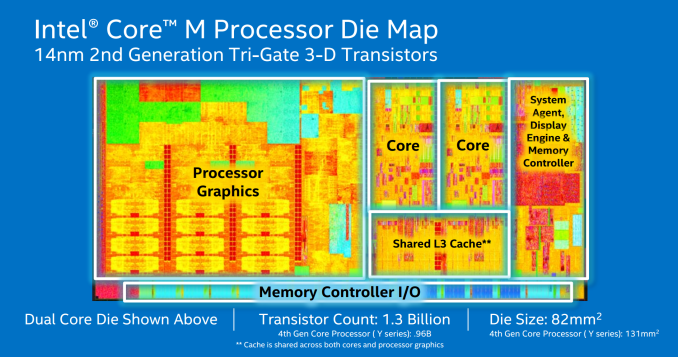 Or maybe it was the more recent release of Intel’s Core M family of CPUs, which brought the Core architecture to a sub-5W design for the first time while making the overall SoC thinner than ever before. But either way you cut it, the line between tablets and laptops is blurrier than ever before. The performance of tablets is continuing to improve through faster CPUs and unexpectedly powerful GPUs, all the while laptops and high-performance x86 tablets are getting thinner, lighter, and lower power. There are still some important differences between the devices, and this is a consequence of both current technological limitations as well as design differences, but clearly the point where traditional tablets end and traditional laptops end is no longer a well-defined one. This brings us to today’s review and today’s launch of Apple’s latest ultra-thin laptop, the simply named MacBook. Though Apple’s device is distinctly a laptop in terms of form factor and design, you’d none the less be excused for mistaking it for a large form factor tablet if you took a look at its overall size and internal configuration, both of which are far closer to a tablet than a laptop. Apple may not be doing any kind of wild 2-in-1 transforming design, or even pushing the concept of a touchscreen OS X device, but they have clearly tapped their immense experience with tablets in putting together the new MacBook. The 2015 MacBook is an interesting take on building a Mac, one whose outward appearance hides just how much Apple has done under the hood to make it possible. 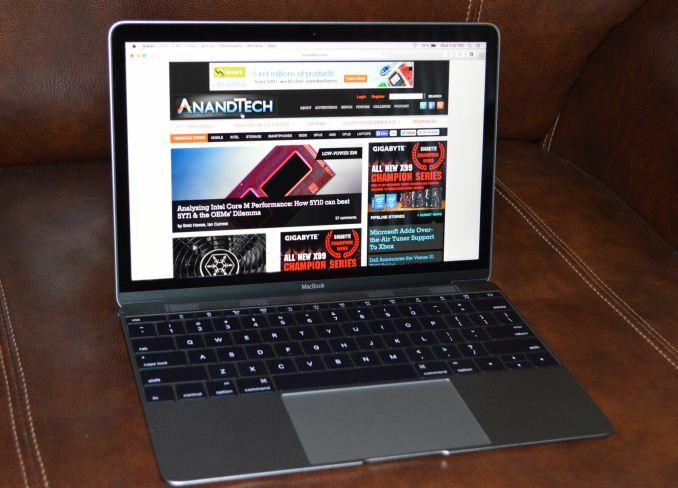 Ostensibly the MacBook is an ultra-thin, ultra-light laptop, pushing beyond even the standards for Ultrabooks as first established by the MacBook Air. Retaining many of the qualities of Apple’s MacBook Air and Retina MacBook Pro lines, the MacBook delivers the Mac laptop experience in a device that is at its largest point just 1.31cm thick, and whose overall footprint is even smaller than the 11” MacBook Air, despite the fact that it includes a larger 12” screen. From an end-user standpoint then the focus on the MacBook is going to be on its size, especially its thinness. It’s how Apple is choosing to promote it and it’s by far the laptop’s most distinctive attribute. At the same time however is the story of how Apple got to this point, and what trade-offs and sacrifices they had to make to get a laptop into this form factor. The laws of physics enforce a pretty clear trade-off between size and performance, so in creating the MacBook Apple has not only created a new size category of Macs, but a new performance category as well. It’s smaller than even the MacBook Air, but it also follows a different performance curve, and ultimately is targeted at a somewhat different user base than the now-traditional ultrabook. We’ll get back to the MacBook’s design in a bit, but first let’s talk about specifications and pricing. With the MacBook Air having transitioned from Apple’s ultra-premium ultra-portable laptop to their entry-level ultra-portable laptop over the last few years – killing the original MacBook in the process – there has been a lot of demand for a premium MacBook Air, particularly one implementing a Retina display. In releasing the new MacBook Apple looks to be addressing at least some of those demands by finally putting together an ultra-portable laptop with just such a Retina display, but in the process they have also re-established the MacBook as a line of premium laptops, along of course with all the differences that come from making such a thin and light laptop. This makes the new MacBook more expensive than the larger MacBook Airs, with the entry level MacBook starting at $1299, versus $899 for the 11” MacBook Air. What that $1299 gets you is access to the first of Apple’s laptops based on Intel’s Core M processor, which in turn is a big part of what has allowed Apple to make such a little laptop. With Core M rated for a TDP of just 4.5W and only being 1.04mm thick, Intel geared their smallest Core processor towards larger format tablets and fanless laptops, with Apple tapping Core M specifically for the latter. Core M in turn is a reality through a combination of Intel’s new 14nm fabrication process and some very tight power and thermal controls to ensure that the processor doesn’t exceed the tolerances of the laptop it’s built around. Compared to Intel’s mainline Core i family, Core M is a very fast processor in short bursts but over longer period of times has to live within the confines of such a small device, which we’ll explore in greater depth in our look at the MacBook’s performance. 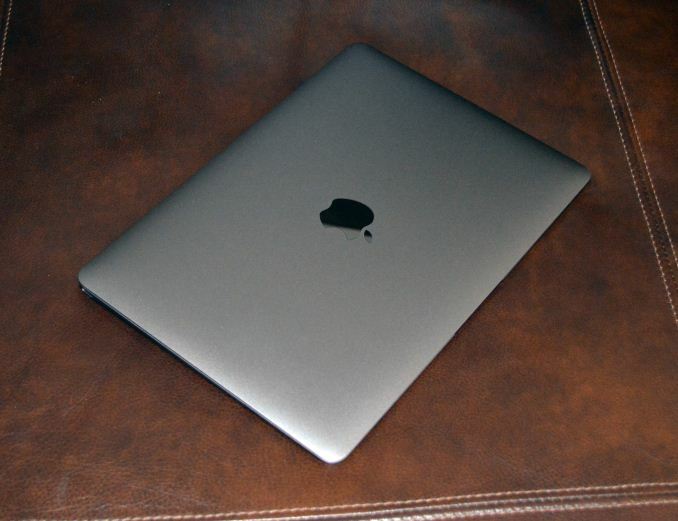 Overall Apple is offering 3 different versions of the Core M within the MacBook lineup. The $1299 base configuration utilizes a 1.1GHz Core M-5Y31, while the $1599 utilizes what we believe to be a 1.2GHz 5Y51. Finally, both configurations offer an optional upgrade to a faster processor, a 1.3GHz version of what’s likely the 5Y71, which is the fastest of Intel’s current Core M lineup. However to put a twist on things Apple has gone and clocked these processors slightly differently than Intel’s original specifications; all 3 MacBooks have a base clock higher than Intel’s specs, and in the case of the faster two these don’t even match Intel’s faster “cTDP Up” configurations. As a result the Core M processors in the new MacBook are somewhat unorthodox compared to the regular processors - and perhaps slightly more power hungry - though there’s nothing here that other OEMs couldn’t do as well. Ideally Core M will spend very little time at its base clockspeeds, and will instead be turboing up to 2.4GHz, 2.6GHz, or 2.9GHz respectively. This vast divide between the base and turbo clocks reflects the performance-bursty nature of the Core M design, but it is also why the base clockspeeds that Apple advertises can be deceptively low. In light workloads where Core M can quickly reach its top speeds to complete a task, a 2.4GHz+ Core architecture processor is nothing short of zippy. However in sustained workloads these base clockspeeds become much more relevant, as Core M has to pull back to lower clockspeeds to keep heat and power consumption under control. In any case, Apple has paired their first Core M laptop with some other very solid hardware, and thankfully in configurations much more befitting of a premium laptop than the MacBook Air’s anemic base specifications. No model of the MacBook comes with less than a 256GB PCIe-attached SSD, a welcome development for a company that has traditionally skimped on SSD capacities. Similarly the one (and only) RAM configuration is 8GB of LPDDR3, which all-told is not a massive amount, but is more than plenty for the kind of device Apple is building towards. Compared to the 128GB SSD and 4GB of RAM in the base MacBook Airs, this is the first ultra-portable Mac in a while where I can say even the base model feels properly equipped. At the very least users shouldn’t be struggling with RAM or SSD capacity for some time. Meanwhile given the fact that the equivalent upgrade of an 11” MacBook air would be $300 – bringing the total price to $1199 – this means that while the MacBook is still more expensive than a MacBook Air, the difference isn’t nearly as wide as it would first seem. 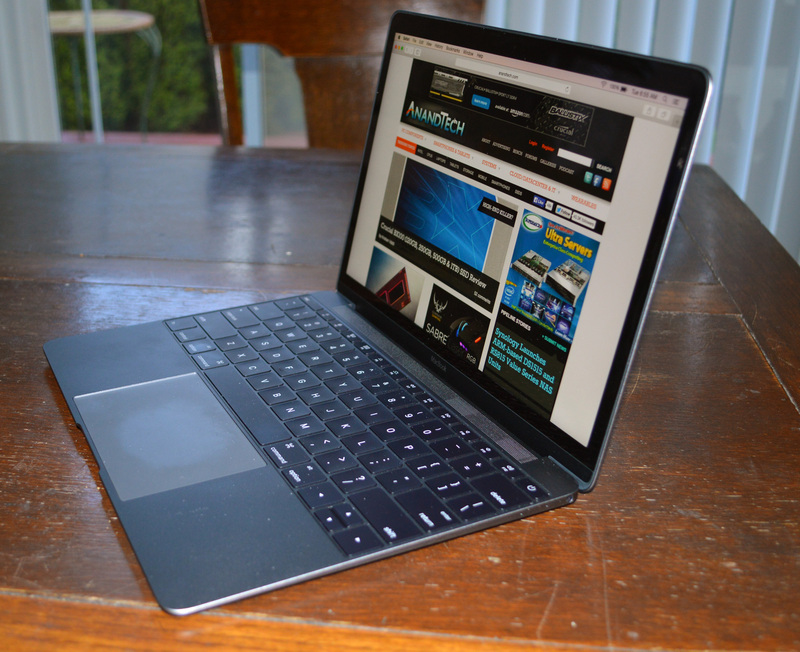 Rounding out the MacBook’s build are a few firsts for Apple. The MacBook’s 12” 2304x1440 Retina IPS display is the first Retina IPS display in an Apple ultra-portable, and quite the sight to behold. Meanwhile the MacBook is also the first Mac to come equipped with the new USB Type-C port, similarly small and fully reversible. Both of these help to cement the MacBook’s place as a cutting-edge Mac, similar to the Retina MacBook Pro’s position in 2012 when it was launched. I bought an eeepc 1000he as a more mobile laptop since my 15.4" at the time was becoming a pain with its lackluster battery life of 2.5 hours real life, 3.5 if I tried. I have been meaning to upgrade to a SSD and 2GB ram but I feel that would still be limiting with the low resolution screen and single core atom. Still works great after over 5 years. Calling this a netbook is the easiest, laziest, and most ignorant response to make. Typically by people who have some whiny anti-apple issue. No Netbook from functionality standpoint is an ultra efficient, relatively low performance, severely limited IO compromise to the 2012 laptop market. From that functionality standpoint, this macbook is a netbook. Core M is still slow according to 2015 standards, the macbook still only have a single USB port. Both of this makes it a 2015 netbook, albeit a premium one, around $800ish gets you the nicer material and screen, but not functionality. First netbooks arrived like 8-9 years ago. iPad & tablets completely annihilated that category. Any el cheapo Android tablet can do more than Vista-powered Atom with 1GB RAM and mechanical HDD paired with 1024x800 TN panel. MacBook Core-M performance is absolutely perfect for anyone doing mostly e-mails, office, browsing. Short, burst, tasks. 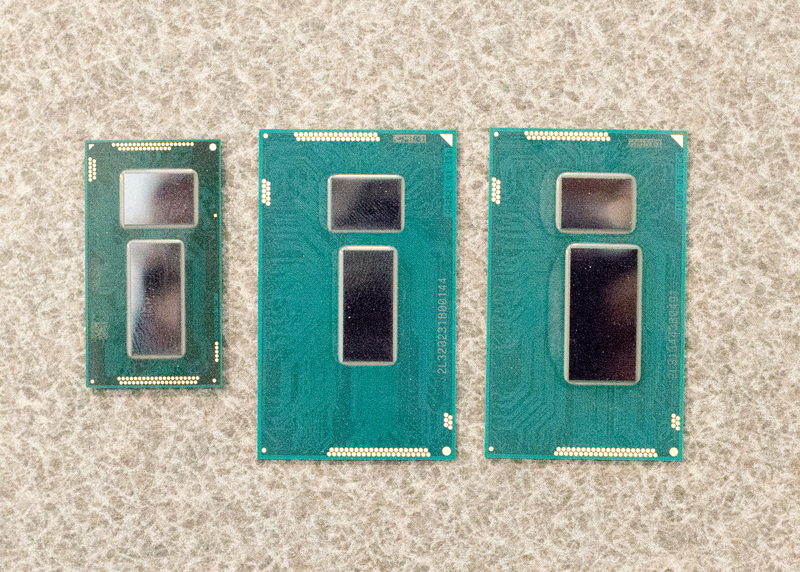 Doubtful you would be able to tell difference at these tasks between Core-M and i7-4790. Obvisously, the 4.5W power envelope has its downsides - most demanding game this could reasonably run is probably something like plants vs zombies. But then you would get rewarded by great portability when running around airports.